Recommended Daily Sugar Intake - How Many Grams Of Sugar Per Day? Recommended Daily Sugar Intake – Know The Limit and Where To Draw A Line! The risk of being overweight and obese! Is this the only reason why you should know the recommended daily sugar intake? Exceeding the limits of sugar consumption can also cause tooth decay, cause fluctuations in your hormonal regulation, increase the risk of cardiovascular diseases, affect your kidney, liver and also speed up the aging process. You will be astonished to know how much excess sugars you have been consuming when you compare your regular sugar intake with the amounts of sugar you are currently consuming. How Much Sugar Should You Eat In A Day? Americans(1) are at a high risk of being affected by the excessive consumption of sugars because they have been consuming nearly 29 kilograms of sugar per year which accounts for nearly 80 grams of sugar per day. Now that you have known how much of a negative impact, sugar can have on your health, your mind could be pondering upon the question of how many grams of sugar per day is usually recommended! To know the exact recommended daily sugar intake, you must know that the amount varies among men, women and also children. Stop Eating Sugar! Still, Your Body Acquires Sugars.! Do you know the fact that you have been gaining sugars through your regular foods also? Carbohydrates contain three main components which are starches, dietary fibres and sugars, and all the carbohydrate-rich foods show an impact on the sugar levels in your blood because of the presence of sugars in them. But don’t worry! Sugars that could be gained through natural foods are not really harmful and moreover, carbohydrates give you high amounts of energy which is why cutting down on carbohydrates does not help in staying away from sugars. You now know that you cannot control the intake of sugars through natural foods because you will miss on the dietary fibres(2) and starches if you cut down on carbohydrates but you can control your sugar intake by keeping a check on added sugars. Now you know that your regular foods also contain natural sugars. So, it is very easy to distinguish between natural sugars and added sugars. The kind of sugars that you obtain from carbohydrate-rich foods and other fruits are known as natural sugars but what about added sugars? Almost all the baked goods and beverages are loaded with added sugars that are the worst kind of ingredients because they do not contain any nutritional value except high calories. Can you go a month without consuming any scrumptious, mouth watery baked goods or beverages that are tasty and delicious? If you have successfully stayed away from these eatables, you are reducing your sugar intake up to a large extent. So, is there any prominent health-based reason as to why these sugars(3) are added? Your guess is right! They are added to only make your taste buds feel awesome and to increase the shelf life of that product. One major disadvantage of consuming sugar in excess amounts is that your body will acquire more calories than it is usually required. When calorie intake is more, there is every chance of becoming obese or overweight. So, let us take a look at how much calories your body can acquire if you follow the recommended daily sugar intake. American heart association recommends that men should not be consuming more than nine teaspoons of sugar in a day through which your body acquires 150 calories and women should not be consuming more than six teaspoons of sugar in a day through which your body acquires 100 calories. How Much Extra Calories Have You Been Gaining? But, most of the Americans have been consuming around 19 to 20 teaspoons of sugar in a day which give your body around 316 calories and this is almost double to the calories that should be obtained through the consumption(4) of the maximum amount of sugar per day. How To Identify The Food Products With Added Sugar? If you have been looking for the ways to not exceed the recommended daily sugar intake, there is no best way other than cutting down on these hazardous foods because of which you will only end up gaining more calories and becoming obese. As a healthy adult, the maximum amount of sugar per day that can be consumed is around 6-9 teaspoons. But after including ultra-processed foods in the diet, most of the people are said to be consuming around 22 teaspoons of sugars per day. This is only going to add 350 extra calories to your regular calorie intake and make you more obese and overweight. If you already know the harmful effects of added sugars on your health, but still cannot resist yourself from consuming junk and sugary foods, here is how much of a negative impact added sugars are going to show on your health. If you have been frequently complaining about joint pains, but you are also having a sweet tooth, there is no doubt in saying that your habit of eating sweet baked goods is what has been causing joint pains. This is because added sugars present in sweet foods cause inflammation which shows up in the form of joint pains. The elasticity of your skin determines the youthfulness and liveliness of your skin. This is because of the presence of collagen in the skin. A regular intake of sugars can affect the collagen and which makes the wrinkles to appear faster. The formation of Advanced glycation end products is what happens when sugars are bound to the proteins present in your blood. The more is the production of Advanced glycation end products, more are the chances of early ageing (ageing here refers to a faster development of both emotional and physical development). 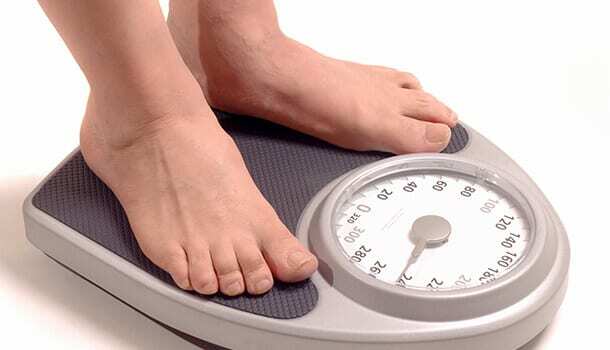 You need not really be overweight or obese to suffer from heart diseases. Exceeding the recommended daily sugar intake can also lead to the risk of being prone to heart diseases without the need of being overweight. You can, however, see both a direct and indirect impact of added sugars on your heart health. It is the responsibility of your liver to convert the excess sugars into fats. So when you exceed the recommended daily sugar intake and keep on consuming sugars, there will be a gradual accumulation of fat which increases the risk of heart strokes. Excess sugars can also cause inflammation and a surge in the blood pressure, both of which can increase the risk of heart diseases which can be chronic (prevail for a lifetime). #About ten per cent of the calories that an average American consume are through added sugars. The sugar levels in your blood are regulated by a hormone called insulin and this hormone plays an important role in converting the glucose into energy and supplying it to the cells present in your body. Many of us assume that surpassing the limit of recommended daily sugar intake can affect the functioning of insulin hormone which increases the risk of diabetes. Well, this is not really the case. People consuming excess sugars are at a high risk of being affected with diabetes because of being overweight and weight gain is what increases the risk of diabetes. This is because the cells in their body cannot take glucose inside them and therefore glucose (a form of sugar) gets accumulated in the blood leading to type 2 diabetes. When the blood can no longer take the sugars, excess sugars get expelled through the urine. When this happens, the functioning capacity of kidneys gets decreased with time due to damage caused to the blood vessels of the kidneys. When you are really enjoying your favourite food, how does your brain indicate that you should probably stop eating? A hormone called leptin is responsible for signalling your body that you have consumed enough sugars. Exceeding the levels of sugar consumption can lead to a condition called leptin resistance where the hormone no longer signals you to stop eating excess sugars. So your cravings never die and you may continue to exceed the recommended daily sugar intake which in a long run causes weight gain and obesity. Most of the soft drinks and sodas contain artificial sweetening agents contain added sugars that eventually cause a tooth decay. When you consume sweet baked products, the oral bacteria may feed on the sugar particles that get stuck to your teeth and lead to the formation of various acids that deteriorate the most vital part of your tooth, the enamel (which is majorly responsible for safeguarding your tooth). 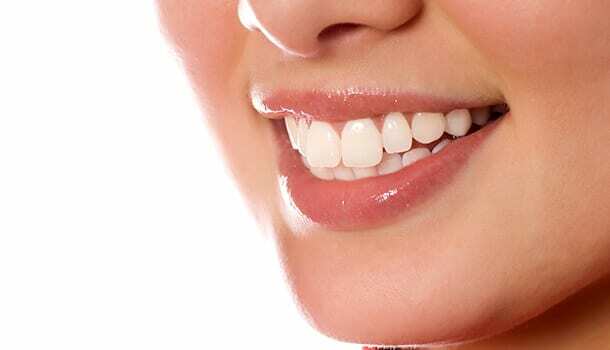 This eventually leads to the formation of cavities (holes in the tooth) that has to be treated by removing the tooth permanently. Recommended Grams Of Sugar Per Day For Diabetes? Having a sweet tooth and not being able to relish your favourite sweet dishes can be quite depressing. But, you need not worry anymore! Suffering from diabetes may not require you to cut down on your favourite foods completely. If you are a non-diabetic, you can count your sugar intake by relatively comparing it with your calorie intake. it is usually recommended to not consume more than ten per cent of your total calorie consumption per day. For example, if your daily calorie intake is 2000, you should not consume more than 20 grams of sugar per day. But, this is only applicable If you are not diabetic. However, if you want to know the recommended grams of sugar per day for diabetes you must consult your doctor to know how much sugar do you need to consume according to your calorie consumption.